For over 50 years, the A.R. Thomson Group (ARTG) has been offering high-quality fluid containment and control products with a focus on increased reliability and reduced down time. Due to ongoing environmental challenges such as climate warming and limited natural resources, fresh water conservation and energy efficiency have become important goals for all industry. Successfully reducing water consumption and increasing energy efficiency also has the desired side effect of lowering production costs – one factor affecting profit that we can fortunately control! Reducing carbon dioxide, greenhouse gas, and volatile organic compounds (VOC) emissions has become a critical driver for the success of many businesses today. With this demanding set of industry challenges, ARTG developed a program focused on these energy efficiency and environmental opportunities. Reduce fugitive emissions by implementing an environmental LDAR program. The Clean Air Act of 1990, a United States Environmental Policy to reduce smog and air pollution, requires industrial facilities to implement a Leak Detection and Repair (LDAR) program to monitor and audit fugitive emissions of volatile organic compounds (VOC). LDAR programs identify and repair components that are the main source of VOCs such as valves, pumps, compressors, flanges and connectors. Valves, for example, account for nearly 60% of all fugitive emissions. 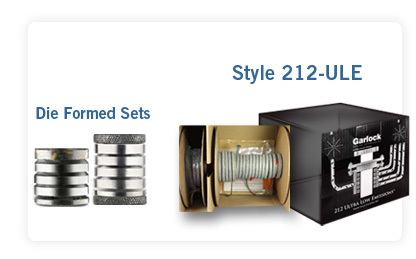 ARTG provides sealing solutions such as valve stem packing and die-formed sets in conjuction with the LDAR program. A manual test is done using a portable vapor analyzer that read in parts per million (ppm). The monitoring frequency and leak threshold are determined by various factors such as the type of component being tested and the chemical running through the line. Moving components (i.e. pumps and agitators) are monitored more frequently than non-moving ones (i.e. flanges and screwed connectors). The regulations require a set amount of days to repair a component after the leak has been detected. Allowances for delaying the repairs beyond the allowed time are made for some components where repairing the component requires shutting process equipment down. Conserve water through improved pump reliability. Using modern sealing devices designed for maximum efficiency drastically reduces water consumption. A non-intrusive flow measurement is made to determine current water consumption in a specific area or a piece of equipment. A sealing device such as a low flow packing set or mechanical seal is recommended. A post-test is conducted to determine new flow values and a cost reduction is calculated based on your estimated costs per Cubic Meter of water. Prevent bearing failures and extend the life of the equipment. Bearing failure in rotating equipment significantly impacts operating expense and profitability due to costly equipment rebuild and equipment downtime. The primary sources of bearing failure are lack of lubrication and contaminant ingress. Industrial sealing devices are the primary protection against bearing failure. When the sealing device fails, bearing failure is imminent. 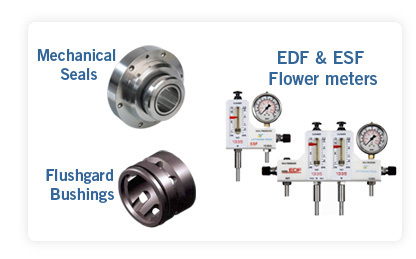 Therefore, extending the life of sealing devices extends bearing life and in turn improves equipment uptime. The primary measurements of equipment uptime are: Mean Time Between Failures (MTBF) and Mean Time To Repair (MTTR). 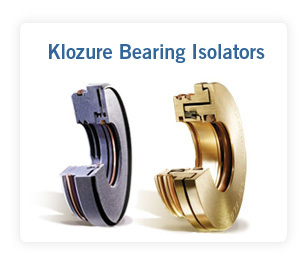 By retaining lubricants, excluding contamination or separating fluids, KLOZURE® Dynamic Seals protect bearings and keep processes moving in the most demanding conditions. Minimize energy loss through effective steam management. Steam efficiency and condensate recovery represents an opportunity to have big impact in the increase in heat exchange equipment efficiency and reduction of boiler feed water make up. As well both fuel consumption and resultant emissions will be decreased. This is achieved through management of the steam trap population with the use of our cutting edge diagnostic equipment featuring unmatched accuracy and reliability. 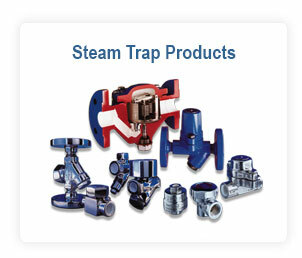 A test is conducted to determine the condition of all steam traps in the population. Our equipment does not only detect a malfunction, it will also report the degree of malfunction, allowing you to separate the worst offenders from the less urgent problems. For the Rotating Equipment (water conservation) and Steam Efficiency components of our Triple E program, we conduct non-intrusive testing and auditing to develop efficiency data from which to establish a usage bench mark. We then establish target goals and objectives. Once our recommendations are implemented we are able to conduct a “post-test” and establish actual energy savings based on the values provided by the end user (equipment owner). This in turn translates into savings. Save time, energy and water consumption with a self-cleaning water filtration system. Contamination of the cooling water system is a continual problem. Dirt and debris including pollen, cottonwood and other materials contaminate the cooling tower and reduce the efficiency of heat exchangers and machines. Traditional filtration methods such as sand filters are often intrusive, inefficient and labor intensive. It was a full time job for one person to clean individual machine strainers, filters and heat exchangers. 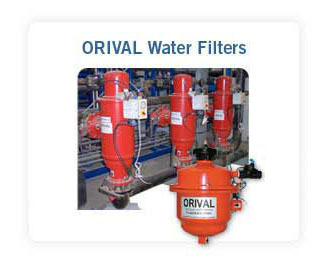 The Orival filtration system addresses all these problems. The filter is easy to install, requires no external power, and the automatic cleaning process is efficient, non-intrusive and minimizes system downtime. A fine screen removes particles of any size and the build up of dirt over time becomes an extra layer of filtration that removes even finer particles. Customers who invested in the Orival Self-cleaning Water Filter often find that this filtration system pays for itself in a short time through the combined energy and labor savings. The A.R. Thomson Group’s Energy Efficiency and Environmental Program is continuously evolving as we identify cost savings opportunities for our customers. See our Literature section for additional articles and supporting documents.